Painting of a mountain setting by New York artist Charles Abel Corwin (1857-1938). The painting was done using oil paints on canvas. 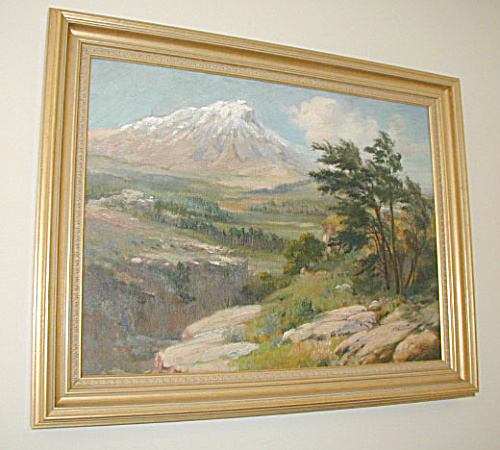 The painting is not signed but is by Corwin as the painting is being sold for a descendant of Corwin who has numerous paintings by the artist. Approximate painted canvas dimensions are 24"w x 18"h. Please inquire with further questions and/or if you would like a shipping quote.